The new Steven Spielberg movie about Lincoln is entirely based on a fiction, to use a mild term. As longtime Ebony magazine executive editor Lerone Bennett, Jr. explained in his book, Forced into Glory: Abraham Lincoln’s White Dream: “There is a pleasant fiction that Lincoln . . . became a flaming advocate of the [Thirteenth] amendment and used the power of his office to buy votes to ensure its passage. There is no evidence, as David H. Donald has noted, to support that fiction”. (Emphasis added). The truth … is precisely the opposite of the story told in Spielberg’s Lincoln movie, which is based on the book Team of Rivals by the confessed plagiarist/court historian Doris Kearns-Goodwin. 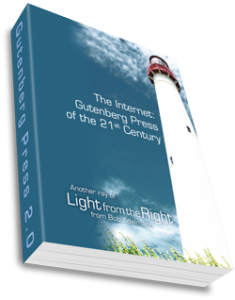 (My … review of her book is entitled “A Plagiarist’s Contribution to Lincoln Idolatry”). It is a myth that Lincoln toiled mightily in his last days to get a reluctant Congress to pass the Thirteenth Amendment, as portrayed in the Spielberg movie. What he did spend his time on was micromanaging the waging of total war on Southern civilians, who he always considered to be American citizens, since he denied the legitimacy of secession. More importantly, as documented by historians Phillip Magness and Sebastion Page in their book, Colonization After Emancipation, Lincoln spent many long days at the end of his life communicating with foreign governments and plotting with William Seward, among others, to “colonize” all of “the Africans,” as he called them, out of the United States once the war was over. 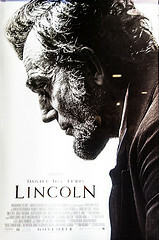 The Lincoln movie, in other words, is not only a work of fiction but of false propaganda promoting the myth of Lincoln. I went to see Red Dawn instead. This entry was posted	on Friday, November 30th, 2012 at 3:54 pm	and is filed under Constitution, History, Reviews. You can follow any responses to this entry through the RSS 2.0 feed. You can leave a response, or trackback from your own site.